The Scoop: The Pension Rights Center (PRC) is the nation’s foremost consumer organization dedicated solely to protecting retirement security in the U.S. The nonprofit provides free information and legal assistance regarding earned benefits, pensions, and other retirement income. By empowering everyday individuals, couples, families, divorcees, and widows and widowers to learn more about retirement plans, the Pension Rights Center aims to make a meaningful difference in the lives of workers, retirees, and their families for generations to come. Since 1976, the Pension Rights Center (PRC) has educated Americans about retirement plans and advocated for the rights of retirees and their spouses. This national nonprofit has been a beacon of hope for the millions of people approaching retirement age and wondering what comes next. The Pension Rights Center offers free educational resources geared toward wokers and their families. 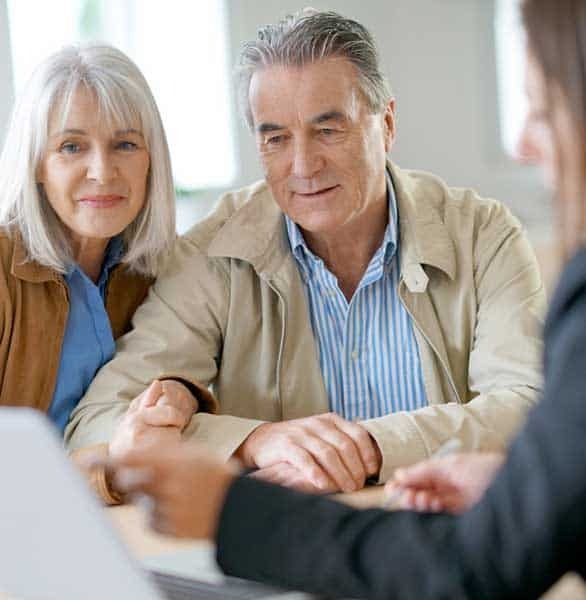 The Pension Rights Center connects consumers to the resources they need to prepare for retirement and get the benefits they deserve. This is an issue impacting millions of people, and yet a majority of Americans don’t understand how the system works. They need an informational resource to help them navigate a complex bureaucratic process, and that’s where the Pension Rights Center comes in. Fortunately, the Pension Rights Center gives these people access to free information and legal advice regarding their pensions and other retirement plans. Its fact sheets and other resources help individuals make the most of retirement and achieve lasting financial security. 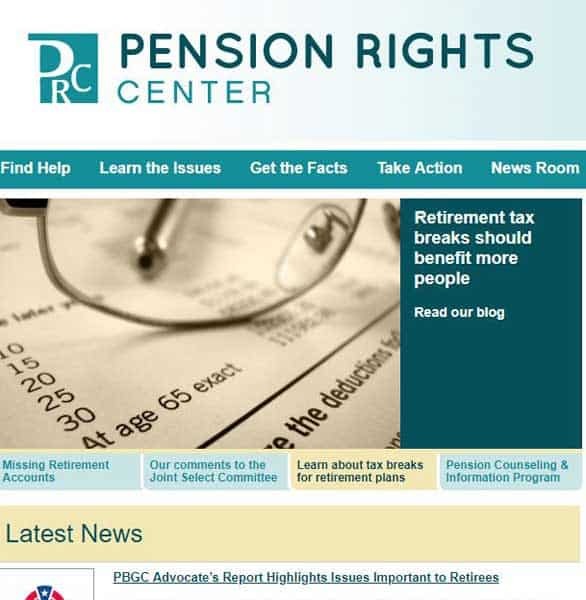 In addition to raising awareness among the public, the Pension Rights Center gets involved in the policy-making process and advocates for legislation that would improve the quality of life for retirees in the U.S.
People often turn to the Pension Rights Center because they need help understanding their pension rights or claiming the benefits they have earned through a lifetime of work. It can be a complicated and nuanced process, but the nonprofit spells things out in simple terms to help individuals understand how to financially prepare for retirement. The Pension Rights Center clarifies complex issues regarding retirement plans and benefits. First, you need a divorce decree. Then, if your spouse is in a private pension or other retirement plan, you need an additional court order, called a Qualified Domestic Relations Order (QDRO), that specifically addresses the retirement benefits. It is best to obtain and then submit a QDRO to the retirement plan as soon as the divorce is finalized. If you meet the retirement plan’s requirements, the plan should accept the QDRO, and you’re good to start receiving your share of your former spouse’s benefits when it’s time. Many people make the mistake of thinking a court order is enough, but the retirement plan needs to review and approve a QDRO so they know where and how to allocate money when the time comes. PRC has seen older divorced singles wind up in homeless shelters because, even though they were granted a share of a former spouse’s retirement income by a divorce decree, they never received it because something went wrong during the QDRO process. Sometimes the ex-husband or ex-wife can deliberately manipulate the situation and put up obstacles to dividing the pension. This is called economic coercion, and it’s a tactic frequently employed by domestic abusers who seek to further control and punish a current or former romantic partner. After learning of a retiree’s divorce, most retirement plans will place an 18-month hold on benefit distributions. If the former spouse doesn’t submit a QDRO during this window, the hold is removed, and there is a risk that the former spouse won’t receive his or her share of the benefits because the full benefit has already been distributed to the retiree. If you cannot find or afford a lawyer to draft a QDRO, you can see if the retirement plan offers a model QDRO. Then a family law or legal aid attorney may be able to help you fill it out. Sometimes the agency will waive the submission fee for individuals who use the model QDRO. The process for claiming pension rights as a widow or widower is comparatively simple. In most pension plans, as long as you were married to the individual who earned the benefit when he or she retired, you are entitled to continue receiving monthly benefit payments worth at least 50% of what your spouse was receiving each month while alive. The spouse of a deceased individual automatically gains access to the plan’s earned benefits. However, he or she needs to inform the plan that the benefit-earner has died, since the survivor’s benefit is typically a different amount of money. That money is already yours — unless you’ve waived your right to survivor benefits, or your spouse has chosen to take a lump sum rather than an annuity (these choices are indicated in the standard election paperwork that the benefit-earner has to fill out at retirement). Under 401(k) plans and other individual-account type plans, spouses of retirees are also protected. Typically, 401(k) plans pay benefits out as a lump sum, and (unlike in a pension plan) a retiree can name anyone as beneficiary to receive any money left in the account after the retiree dies. Federal law states that a married retiree must name his or her spouse as beneficiary unless the spouse signs a waiver form allowing the retiree to name someone else as beneficiary. If you’re not sure what the best decision is for your family, you can always consult a financial adviser. Most private and public plans require spousal consent for such decisions, so you should know what options are available to you. Some spouses decide to sign a survivor waiver form because it will increase the amount of money the plan pays out each month while the benefit-earner is still alive. However, it will also mean the surviving spouse will not be entitled to money once the plan’s primary benefit recipient dies. Sometimes extenuating circumstances lead individuals to waive their survivor benefit. Maybe there’s an age or health difference, and that person doesn’t expect to be a widow/widower. Maybe the individual has another source of meaningful retirement income, and he or she doesn’t need the pension money. Whatever the reason, waiving the right to survivor benefits is extremely difficult to undo once the benefit-earner dies, so it should not be taken lightly. It may be tempting to take your pension in a lump sum, but experts say that taking an annuity — fixed income over the rest of your life — is a far better investment for most people. Retirees with pensions enjoy greater income security, but only 31% of Americans over 65 have a pension that pays a guaranteed income for life. The other problem is that over 30% of private industry workers do not have access to an employer-sponsored retirement plan. As a result, according to the Bureau of Labor Statistics, only 50% of private-sector workers participate in a workplace retirement plan. It is important that people do not make short-term decisions that can become costly once they’re ready to retire. A financially secure retirement requires long-term planning and many people just don’t prioritize retirement savings or retirement plans until they are near retirement age. As the baby boomer generation retires in the coming years, the nation’s retirement programs will be tested as they’ve never been before, and millions of people could wind up impoverished and unable to maintain their lifestyles in retirement. Couples have to make decisions to provide for each other, but their lack of understanding about the law can stand in the way. The Pension Rights Center has collected many personal stories from seniors tackling these challenges. No matter what age you are, it’s never too early to start planning ahead. You should do what you can now to prepare for retirement and challenges facing senior citizens. The first step is to find out if your employer offers a retirement plan and if you are eligible to participate or if you must make contributions to participate. Be aware that employers often match employee contributions to 401(k) plans. If your employer does not have a plan, you can find out about contributing to an IRA (Individual Retirement Account). If you are in a pension or retirement plan, read the plan rules so you can make the best of the benefits offered for you and your family. You can browse the Pension Rights Center’s website for answers to basic questions, or you can find free legal assistance on specific issues related to retirement plans. The Pension Rights Center works with six federally funded pension counseling projects that have helped seniors across the country take action and receive the benefits they have earned over the course of a lifetime. The Pension Rights Center is on a mission to see to it that Americans know their rights, plan ahead, and ensure they (and their spouses) will be well taken care of when the time comes. Over the decades, the Pension Rights Center has established itself as a trusted authority on pensions and retirement plans. The nonprofit offers free informational and legal resources to support singles and couples nearing retirement, and its team is constantly fighting to make the entire process of applying for and receiving earned benefits easier to manage and understand. Whether you’re single, happily married, or recovering from a divorce, you can learn about what comes next from the Pension Rights Center and set yourself up for a happy and prosperous retirement. The nonprofit collaborates with retirement plans, employers, government officials, women’s rights groups, and other organizations to improve the quality of life for seniors across the country.